A true links-style course, Thunder Bayou has been ranked by Golf Digest as one of the 100 Best New Courses and one of the top public courses in the state. Hosting stops for Hooters Tour, Heartland Senior Tour, and US Kids Junior Tour Events in 2006, this 18-hole championship course features five set of tees, water on seven holes and more than 80 bunkers. Build up your skills on the practice range, bunkers, and putting green, with lessons available from PGA professional J.P. Kelly. Other nearby activities include top-notch hunting and fishing. Come to Thunder Bayou and Blytheville where southern hospitality begins. Please call 870-532-2621 for current rates. 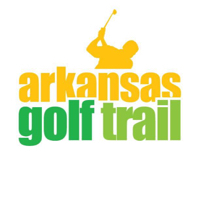 Call 870-532-2621 for rates and tee times. Contact Thunder Bayou Golf Links at 870-532-2621 for more information and details on holding a golf outing at the course. Contact Thunder Bayou Golf Links at 870-532-2621. Contact Thunder Bayou Golf Links at 870-532-2621 for onsite or nearby dining options. This profile was last updated on 11/06/2014 and has been viewed 13,616 times.